Live trio performance at the Teatro Super, in Francesco’s hometown, Valdagno, Italy, October 7, 2011. Featuring: Edu Hebling (bass), Mauro Beggio (drums). 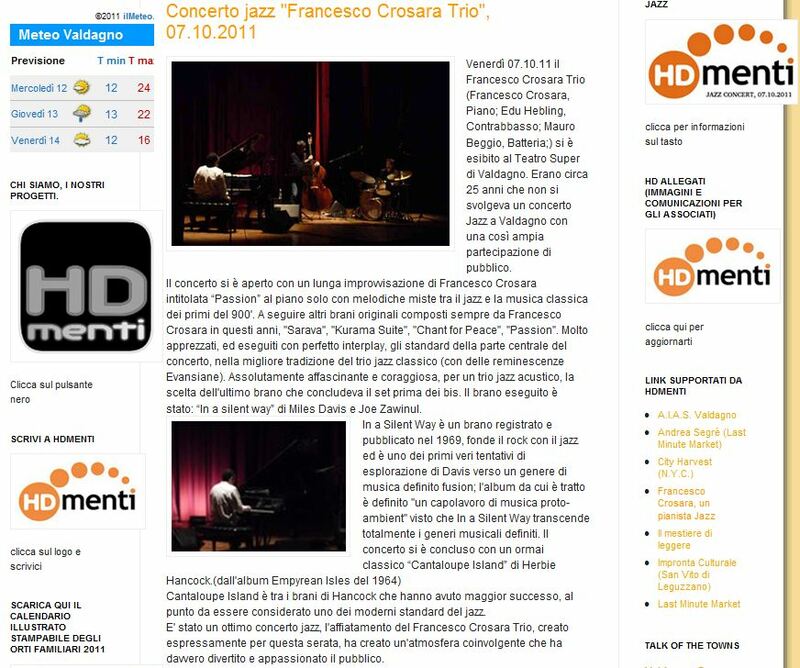 Click on the picture to read the review (in Italian).